Saturday night, the 2016 MLS Season finally came to a close in Toronto. This was the first MLS Cup Final that featured two non-founding clubs: the Seattle Sounders and Toronto FC. Neither of these two sides had ever taken home the league crown, and fans at BMO Field had to be optimistic that Sebastian Giovinco and Co. could finally lead them to the promised land. Would it be a night to remember north of the border, or could the Sounders spoil the party and cap off their date with destiny? In the opening 45 minutes of play, Toronto looked the more likely of the sides to score. Just two minutes in, Jozy Altidore dragged his shot just inches wide of the far post. Greg Vanney’s side, despite their attacking dominance, struggled to turn their shots on target into any meaningful chances. Other than Altidore’s close call to open the match, Toronto’s only other real look at goal came in the 15th minute from the foot of Jonathan Osorio. 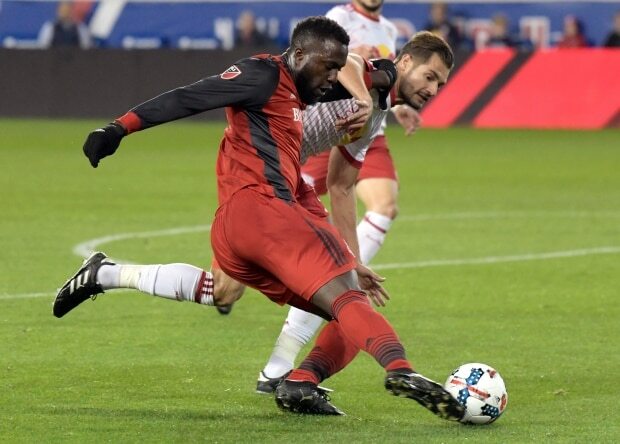 Altidore did well to hold his defender in the penalty area before laying off a teasing ball to Osorio. Unfortunately for TFC fans, the 24-year-old couldn’t quite the ball of his feet and his shot was easily gathered by Stefan Frei. While Toronto may have been frustrated by their lack of clear-cut chances, they would’ve been thrilled at how quiet Seattle had been in the final third. Jordan Morris and Nicolás Lodeiro struggled to break down TFC’s defensive unit, and Clint Irwin had little to no work to do through the first half. The keeper’s biggest challenge was probably just staying warm in the cold Canadian night. Three minutes into the second half, Toronto had another great chance to take a deserved lead. Gritty play from Altidore and Osorio won TFC possession back just outside Seattle’s penalty area. Osorio quickly found a wide-open Giovinco streaking into the box, but the Italian’s shot sailed just wide of the near post. The match’s next big chance came all the way in the 92nd minute as both sides struggled to test the opposition’s keeper. A corner from Michael Bradley found the head of Nick Hagglund 12 yards from net. Hagglund’s header turned into a pass as it drifted towards Altidore at the far post. 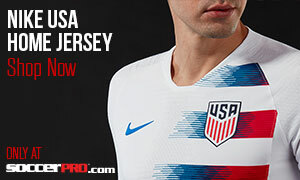 The American striker wasn’t quick enough, however, as Frei did just enough to push the ball away from danger and force the match into extra time. The moment of the match, and arguably the season came in the 108th minute. Tosaint Ricketts hung a cross up towards Altidore from the right wing. 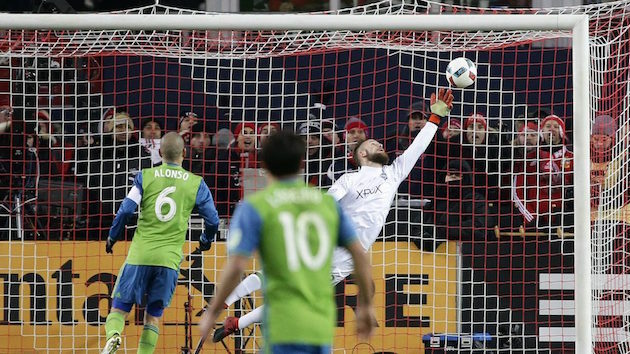 Altidore sent a looping header over Frei for what looked like a championship winning goal. Somehow, the Seattle and former TFC net-minder reached back and clawed the ball out of the air right as it was about to cross the goal line. It was going to take penalties to determine this year’s champions. 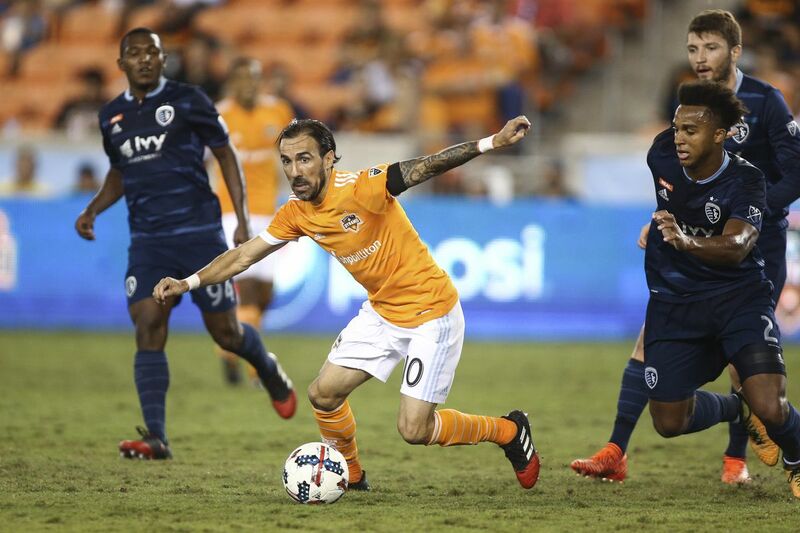 Missed penalties from Michael Bradley and Álvaro Fernández sent the shootout into the sixth round deadlocked at 4-4. Justin Morrow stepped up for TFC and smacked his shot off the crossbar. Now, all Seattle needed was a goal from Román Torres to steal the title. The Panamanian defender delivered just that sending Irwin the wrong way to seal a 5-4 shootout victory and Seattle’s first ever MLS Cup. On paper, there’s no way that Seattle should’ve won this match. They were thoroughly outplayed in the offensive third and they didn’t even register a single shot on goal through 120 minutes of play. But in the end, that doesn’t really matter. All that matters is that they did enough to squeeze by and win. Congratulations to both sides on fantastic seasons, and a special congratulations to Seattle and their amazing fan base on a historic title.